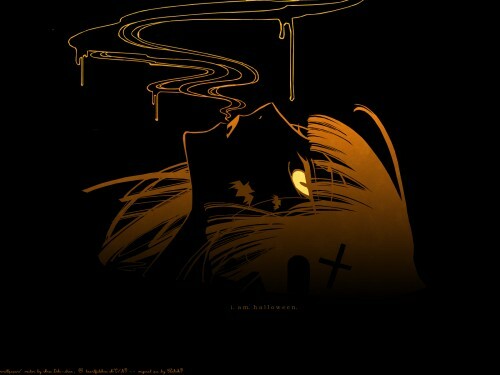 xxxHOLiC Wallpaper: i. am. Halloween. 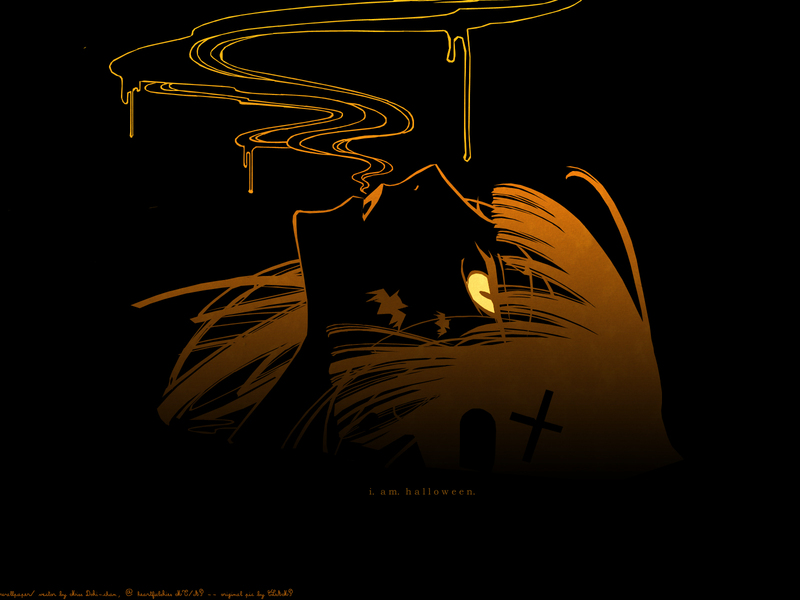 Minitokyo »	xxxHOLiC Wallpapers » xxxHOLiC Wallpaper: i. am. Halloween. =] heh heh heh this is for CW's halloween contest! lol i was planning to make a fantasy wall for halloween, but i just couldn't resist with a vector XD to me Yuuko from xxxHolic screams halloween, with al lthat spooky stuff hehe. Well it's quite simple, haha. wow nice idea and not bad done but i think if the orange colors would be a bit more shinny or a bit blur it would look even better! Wow this is very very nice - I love the black & orange contrast which suits the halloween look. I love the 90degrees rotation thing and the vector is awesome. Oh my. That wallie gives you the feelings of Halloween's terror XD Just joking. love the simplicity in this wallpaper, you cant tell what better word discribe it, spooky or just elegant. I really dont know if it fit as a halloween picture I mean you can find a lot of orange and black images but that doesn't mean that they are focus on the halloween theme, I'm still trying to figure out that with this wall, dont mind is pretty cool actually and other than find my new desktop I can say is an awesome wallpaper.